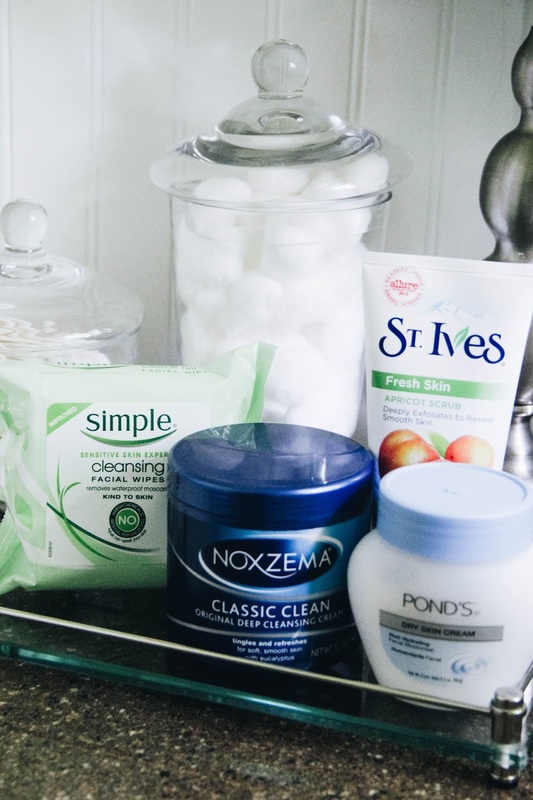 Skin care has been on my radar more than ever, especially when it comes to my face. I'm noticing all the changes to my skin after pregnancy and stint as a postpartum mama, not to mention other factors like sun exposure and age. Not taking care of my skin isn't really an option, so I'm looking into new beauty regimens that best suit me and my lifestyle. We're talking quick, effective, and affordable! 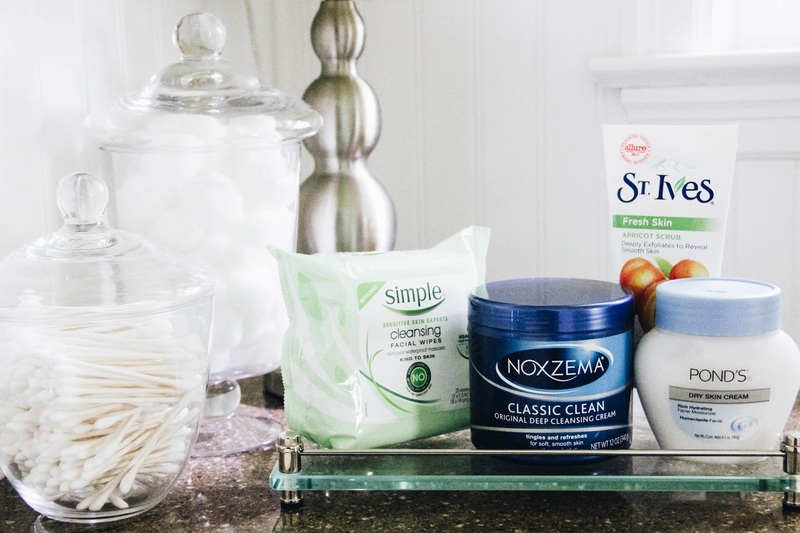 My first go at a new beauty routine is to incorporate multiple different products to achieve the best results. I'm combining an exfoliating scrub, a deep cleanser for those break-out days, facial wipes for eye make-up removal, and a hydrating moisturizer to round it all out. 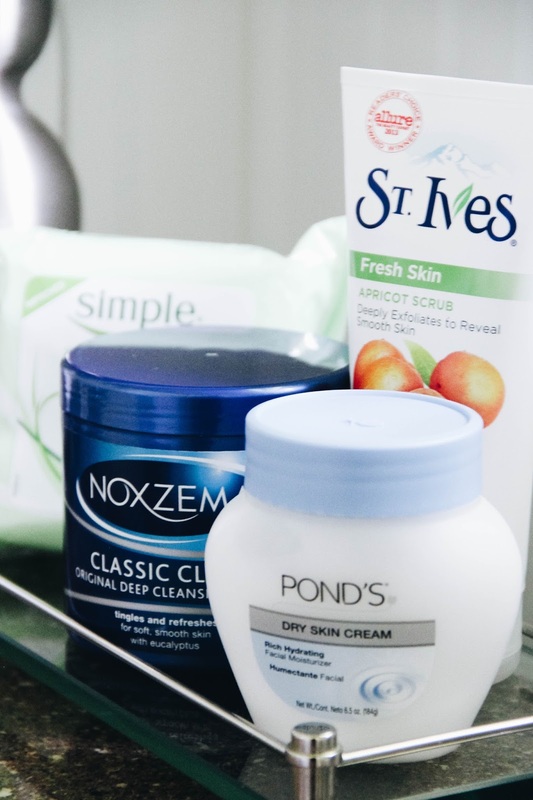 I'll only be using the Noxzema® Deep Cleansing Cream for the days when blemishes are troublesome. 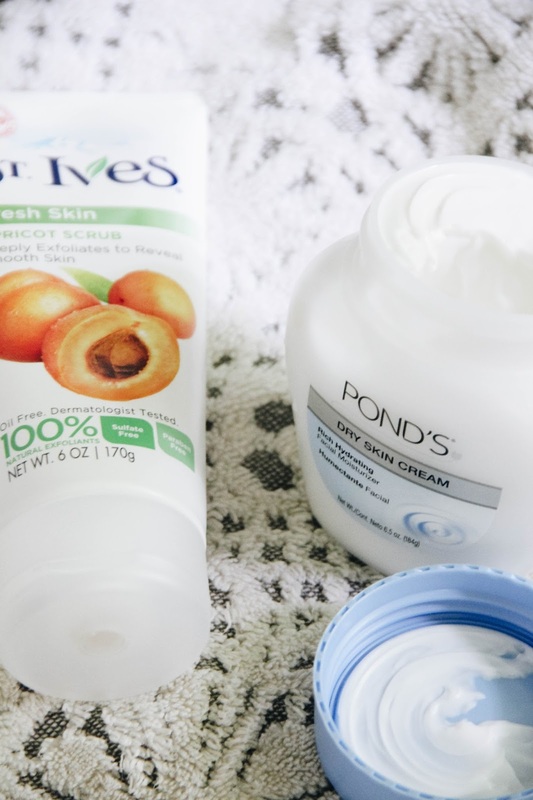 The St. Ives® Apricot Exfoliating Scrub will be a three-times-a-week routine in the shower. It will be best for sloughing off any dull skin and leaving my face feeling renewed and soft. 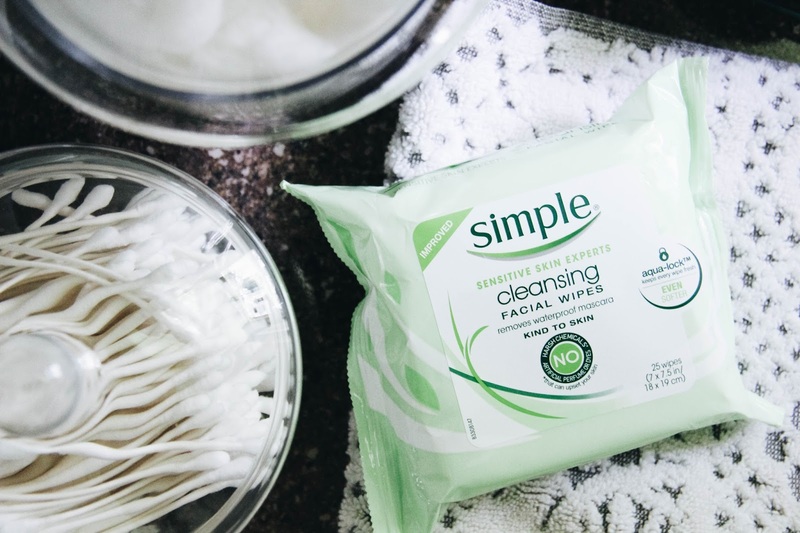 The Simple® Cleansing Facial Wipes along with the Pond's® Skin Cream will be an every night routine as I take off my make-up from the day and hydrate my skin before bed. The facial wipes are amazing at removing mascara while being gentle on my eyelids and eyelashes. They are also great for taking on-the-go if you need a refresh. And if you're like me, your face loves a little moisturizer after taking everything off. So while I will use the cream before bed, I'll also use it after exfoliating too. Best of all, these four products are all an easy find at Walmart, and they are BUDGET-FRIENDLY, y'all! Head HERE to get straight to a Walmart cart full of these items and check out in a flash! Or if heading into your local Walmart is more your speed, you can find them in the beauty aisles!